Here at Bourne Car & Van Hire we have been serving the Bourne and surrounding areas in Lincolnshire for many years so if your vehicle’s MOT due you’re in very safe hands with us. Cars over three years old is legally obliged to pass a yearly MOT test to ensure they are safe to drive. Forgetting your MOT is now becoming a common problem for many vehicle owners since you no longer receive a reminder. If your MOT has expired then your insurance company can refuse to pay out on any claims to your vehicle or you could also be landed with a £1000 fine. If you are unsure then you can use www.check-mot.service.gov.uk or why not let us take the worry/stress away by adding your MOT's expiry date in to our online system so we can text or email you a reminder. 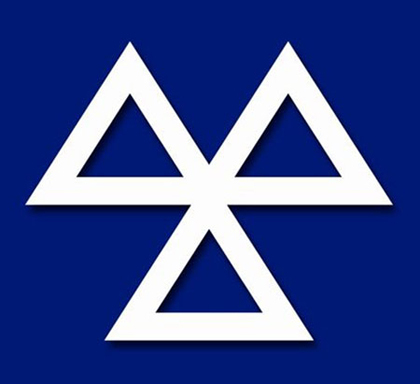 Please note that we strongly advise that your vehicle is MOT tested a month prior to the expiry date on your certificate. We value the safety of all our customers and by having an MOT test certificate is not a guarantee that your vehicle is fully road worthy as the vehicles engine, gearbox and clutch are not inspected during the MOT test. A worrying 30% of all MOT faults relate to signalling and lighting, 10% relate to the condition of your vehicle's tyres, 9.6% relate to brake problems and 6.6% relate to issues with the driver’s overall view of the road. You can feel confident that our comprehensive MOT test is carried out in accordance with all the DVSA relevant guidelines by our skilled technicians who will carry out numerous safety checks to ensure each meet the minimum standard prior to issuing an MOT certificate as the safety of our customers is paramount. Have you ever wondered what checks are carried out during the MOT test? Wheels, tyres, brakes, battery, internal and external lights, emissions, steering and suspension, bodywork, wipers/washer bottle, windscreen, horn, seatbelts, seats, fuel system, doors, mirrors, registration plate and your vehicle identification number (VIN). Were you aware that two in five MOT tests fail on the first test and quite often relate to trivial faults that could have been rectified prior to the test been carried out. Make sure you aren’t one of the two that fail! •	The vehicle’s screen wash not being filled. (which takes only a few minutes). •	The vehicle was dirty and filled with mess. (Ensure your vehicle is free of mess and that windows/mirrors are clean). •	Unnecessary stickers on the vehicle’s windscreen which obscures the drivers view. •	Warning lights appearing on the vehicle’s dashboard.